The in-line pressure balanced expansion joints were manufactured for a clean fuels project in India. 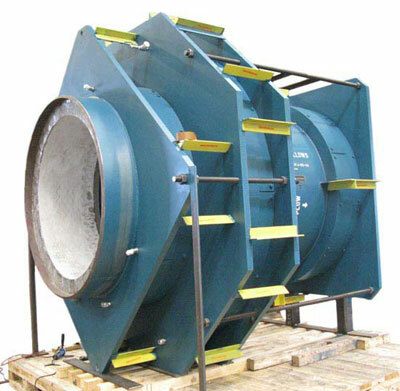 They are fabricated with Inconel 625 LCF bellows and ASTM A516 GR 70 carbon steel was used for the shell. 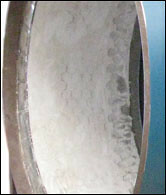 The inside is lined with insulating and abrasion resistant refractory. The expansion joints were pressure tested with air at 15 PSIG prior to shipment.